Although the first round could not be completed due to darkness – a couple of teams will have to finish tomorrow morning – we can already say that the verdict is unanimous : New Giza is a real gem, a spectacular course and a true test of golf. 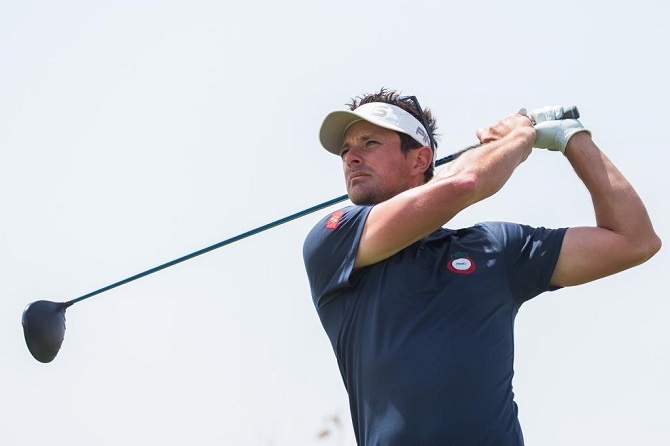 Players are enthusiastic about the new venue chosen by Alps Tour for the New Giza Open, the second tournament of the March Winter Series, taking place in Cairo, Egypt. Only four months after its inauguration, New Giza Golf is hosting its first pro tournament, and although the severe weather conditions put to the test the players – especially those playing in the morning, with wind (and sand) blowing with gusts of 45 km/h – they all had words of praise for the work of art made by designer Tim Lobb. 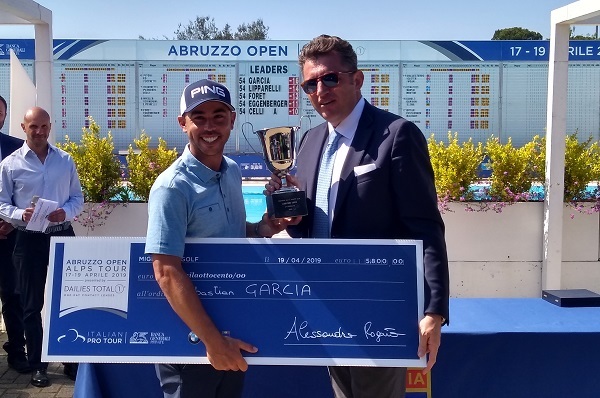 While Spaniard Manuel Elvira was the best of the morning draw, at -3, scores improved a bit during the afternoon with the wind calming down, and Frenchman Julien Foret could take advantage of it by posting a spotless 67 (-5) with five birdies, which becomes the first record of the course. 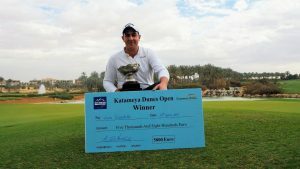 « When you score minus 5 in those hard conditions, you are satisfied by all means – said Foret, 36, winner of Open de Fes in 2006. 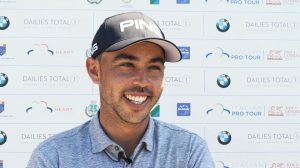 « Everything worked really well for me from tee to green, and in the last five-six holes the wind was less strong; of course I could have done better, but I’m really happy. The course is outstanding, since I first came here I fell in love with it, the first practice day I’ve played 27 holes! Hats off to Alps Tour for choosing such a great venue, and to the designer for the fantastic job he did». 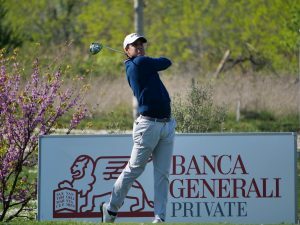 Alone in second position is Italian rookie Lorenzo Scalise, at -4 (one eagle, 5 birdies and 3 bogeys), also playing in the afternoon. « I’ve started solid with a birdie on the first hole, I knew I had to attack on the front nine because the strong wind was actually helping to reach the greens. I made a couple of stupid mistakes from the tee, a lack of concentration maybe, and I’ve hit fairway bunkers – something you really cannot afford to do here, but I’ve also made some 2-3 metres putts, something you cannot take for granted in the wind », conceded Scalise, 23, with a strong amateur career in the Italian team. « On the back nine I’ve played better, even if I left a couple of shots here and there ; I’m very happy with my 68, which would be a good score in the sunny weather and even more so today ». The course? «Fantastic and in great conditions, although it is very young ». In third position at -3 (69), together with Elvira, are Italian Edoardo Lipparelli, Swiss Arthur Ameil-Planchin and Dutch Lars Van Meijel. 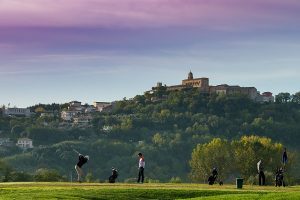 Final results of the first round will be finalised when the six players who had to leave the course due to darkness will play the last couple of holes, tomorrow morning at 7:00.